1. Agreement These terms and conditions form the agreement between Shine From Within (“us” “our” “we”) and our Trainees (“you” “your”). This agreement commences when you enrol in the Shine From Within Youth Mentor Training program and continues until termination is made in accordance with these terms. We may update these terms and conditions however any changes to our terms will only apply to new Trainees who enrol under the new terms. 2. Participation Requirements You agree to participate in the Shine From Within Youth Mentor Training Program (including use the Membership Site (“the Site”) and Facebook page) in good faith and in a way so as to not bring disrepute or cause reputational or other damage to Shine From Within. You agree to set aside the allocated time required to complete your studies where possible and engage with other Trainees in a respectful manner. 3. Intellectual Property Shine From Within retains the right to all intellectual property (whether registered or not) that is created by us and you agree not to disclose, sell, share or deal with our materials in any way other than for your strict private use. 4. Refund Policy If you decide that you would not like to complete the Shine From Within Youth Mentor Training program, we will provide a refund to you (less a $200 admin fee) provided that you request this within the first 30 days of course commencement and have provided all worksheets and proof of commitment to the program. 5. Termination This agreement will terminate automatically at the completion of the Shine From Within Youth Mentor Training program. This agreement will be terminated without notice if you fail to pay any amounts owing by the due date. This agreement will be terminated if a refund is issued during the 30-Day Money Back Refund period. We reserve the right to terminate this agreement if a breach of the terms occurs. We also reserve the right to terminate this agreement in the unfortunate event that we become unable to provide the services requested, in which case all monies paid for work not undertaken will be refunded. Photographs and/or video and/or audio recordings and/or interviews may be made during the course/workshop and may feature the students. These may be used for a range of purposes, but principally for marketing purposes. This may include, but is not limited to, recording in-person training days, audio recordings and testimonials that may be used for brochures, newspaper articles, videos, websites and other electronic media. 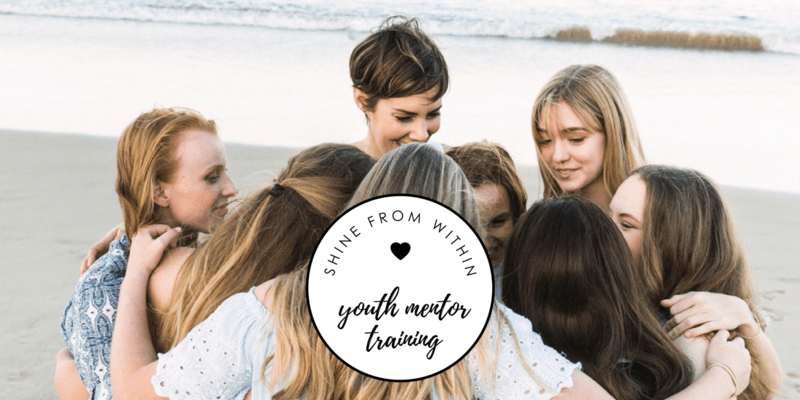 By enrolling in the Youth Mentor Training, you are granting permission for yourself to be photographed/videoed/interviewed on behalf of Shine From Within (or associates) and give permission for the intended uses as stated above. You also agree to release Shine From Within from any and all liability associated with the use by Shine From Within, or a third party, of the photographs/audio/video/interview as set out by this agreement. Please contact youthmentors@shinefromwithin.com.au if you have any queries.